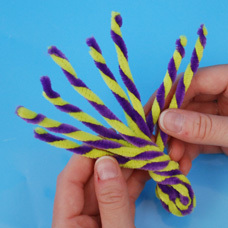 Make these Fuzzy Stick Spiders with just a few twists and a couple of Wiggly Eyes! 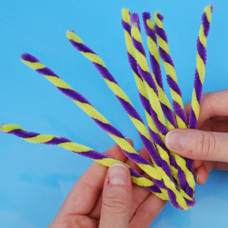 Twist (1) purple and (1) yellow Fuzzy Stick so they create one twisted Fuzzy Stick. 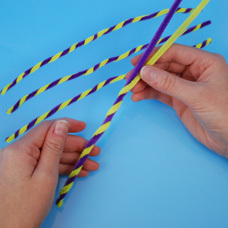 Repeat to make four total sets of twisted Fuzzy Sticks. 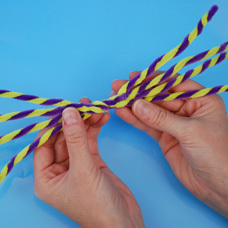 Twist all four sets of Twisted Fuzzy Sticks together in the center third to create one grouped piece as shown. 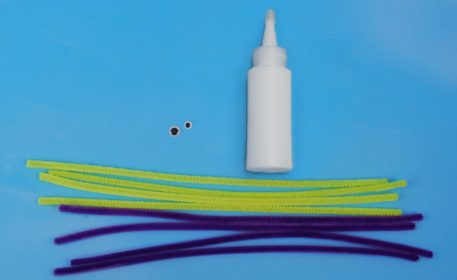 Leave the ends of both sides loose. 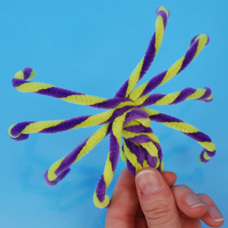 Twist folded area twice to create spider body. Shape and form legs as shown. 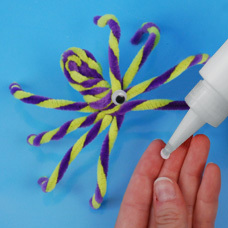 Glue on Wiggly Eyes. 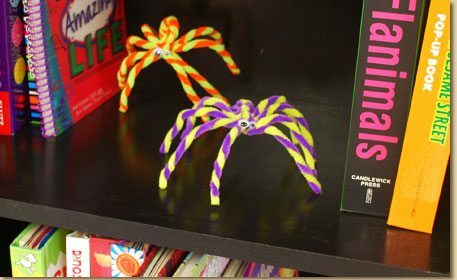 Place spiders in different locations, such as a bookshelf or counter top and have a friendly laugh when you spook a loved one!